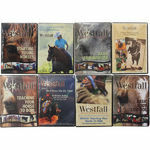 BLACK FRIDAY sale on Stacy Westfall DVD’s, now through Monday. Dvd’s starting as low as $13.99. Free shipping on orders over $75.00. The full set of DVD’s has OVER 14 HOUR of teaching for only $179.99. 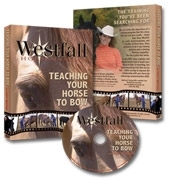 Or check out Stacy’s teaching for only $13.99 by ordering ‘Teaching Your Horse to Bow’. Visit www.stagecoachwest.com and click Westfall Horsemanship at the top of the page! Thanks Stacy för the very generous offer. I have now ordered both of your training ropes and all your DVDs. Can’t wait until the things arrives.